Sushi is a Japanese recipe made of cooked vinegared rice. 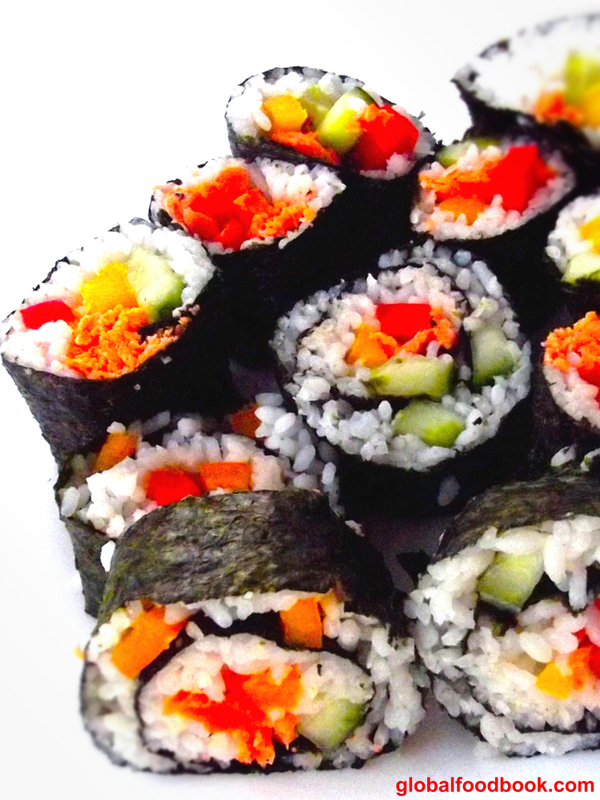 It can be mixed with other ingredients of choice like prawns, salmon, fruits and vegetables however, this particular sushi recipe features salmon, carrot, cucumber and bell peppers. 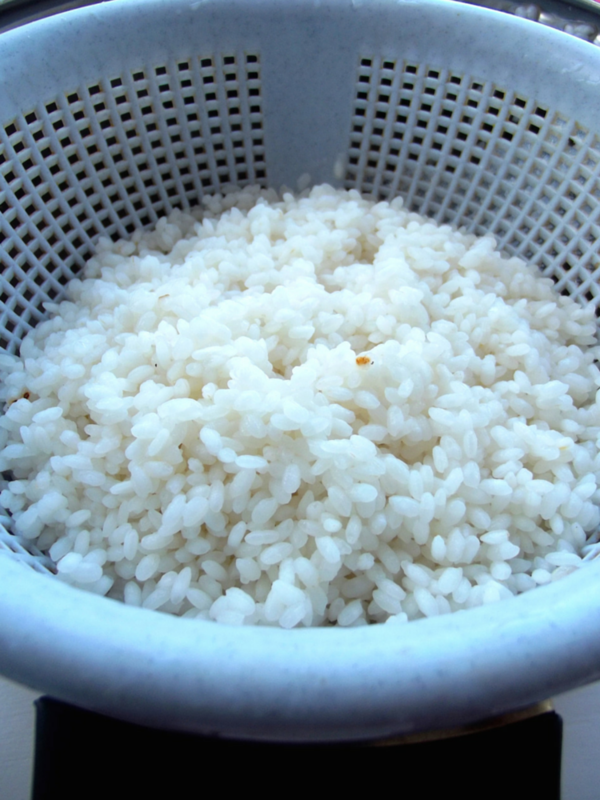 The method of preparation and the ingredients used vary widely but one commonality of sushi is rice otherwise referred to as shari. 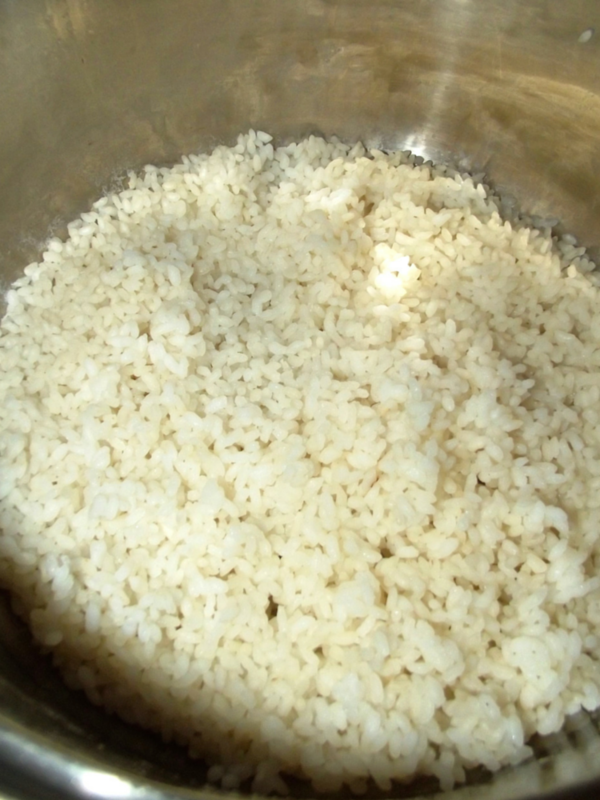 After washing off the starchy water, add the sushi rice back into the pot, pour boiling water, add salt to taste and continue cooking until the rice is tender and properly done. 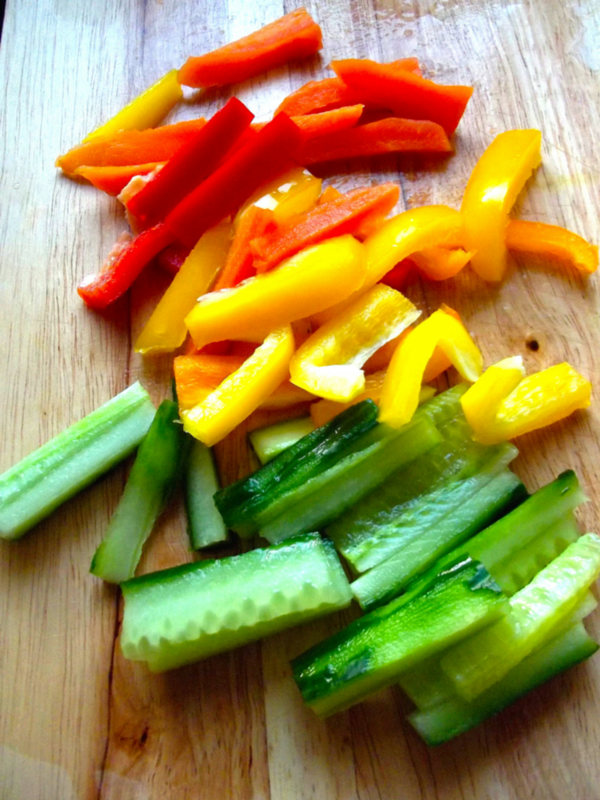 Then at this point, you can slit your vegetables into pieces as shown in the diagram. 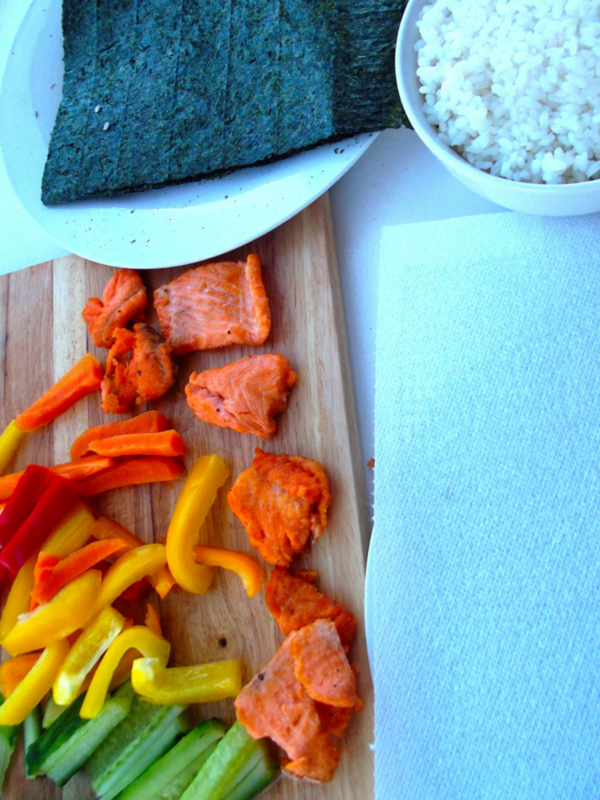 Then also make sure that the salmon, seaweed and the rolling mat are all ready. 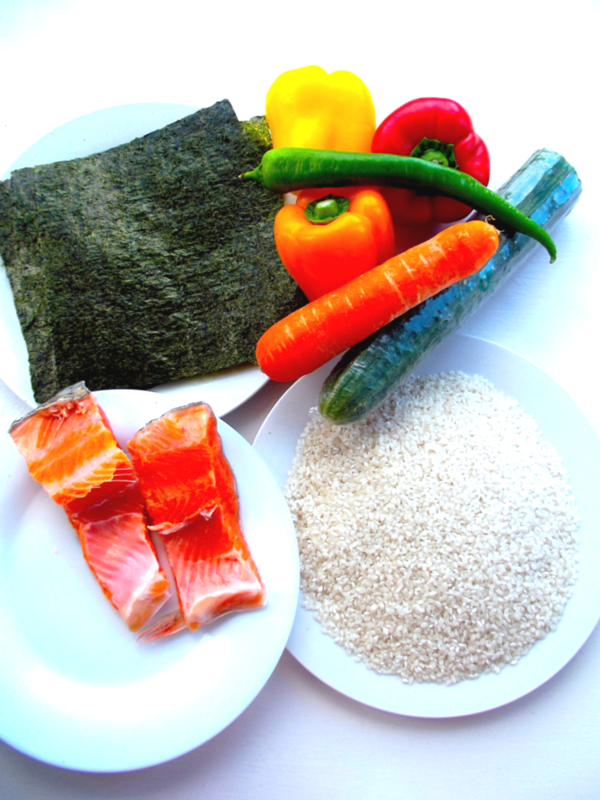 Wash your hands and then spread a thin layer of rice on the sheet of nori, press rice into a thin layer and arrange cucumber, bell peppers, carrot and salmon in a line down the centre of the rice. 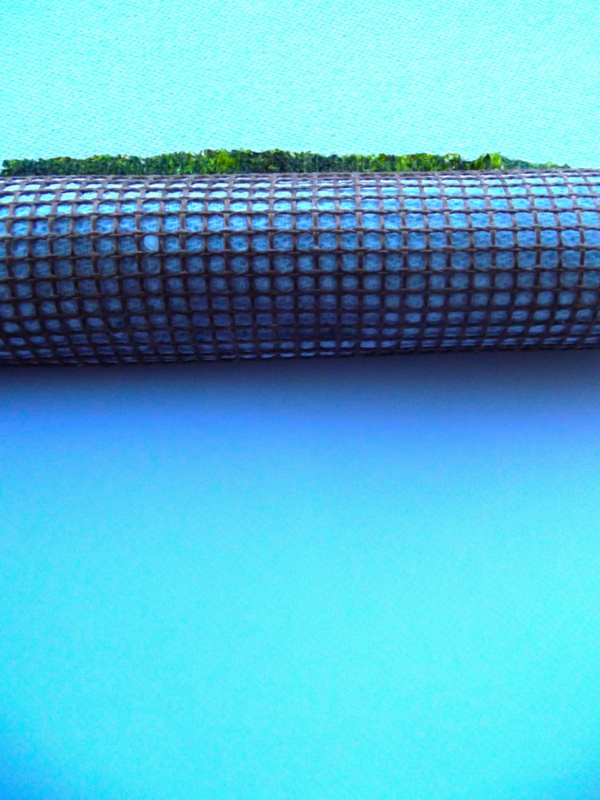 Lift one end of the mat before gently rolling and pressing it over the ingredients. Afterwards, slice the rolled sushi accordingly or as desired before serving. 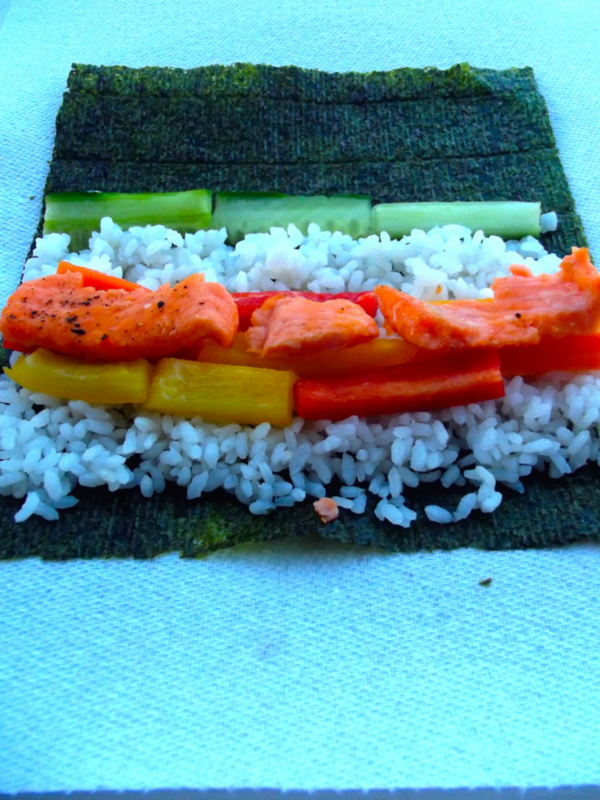 This salmon and vegetable sushi recipe is very easy to make, healthy and delicious. It's nutritional value varies greatly from one roll to the other, and in contemporary and local dishes. It is obvious that sushi may appear small, but every little piece contains tonnes of calories based on one's requirements. 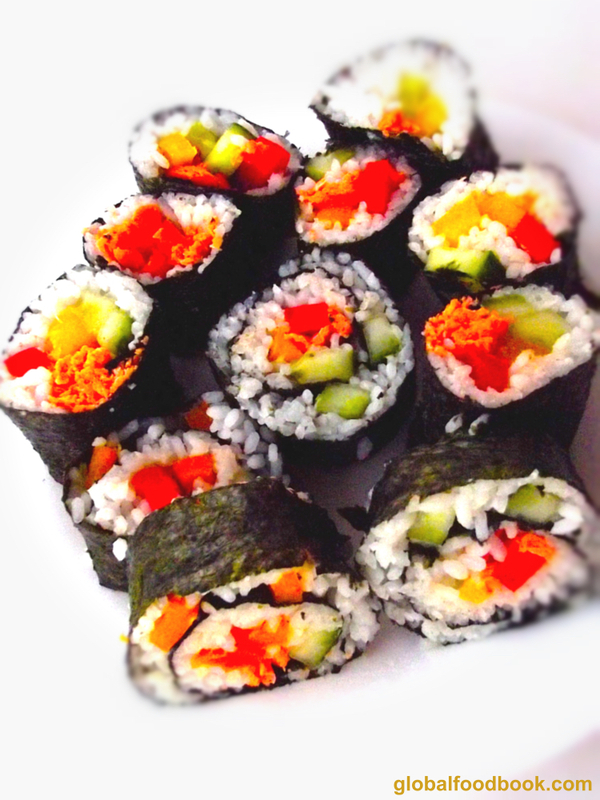 I encourage you to try out this salmon and vegetable sushi recipe at home for an appetising and fulfilling taste. 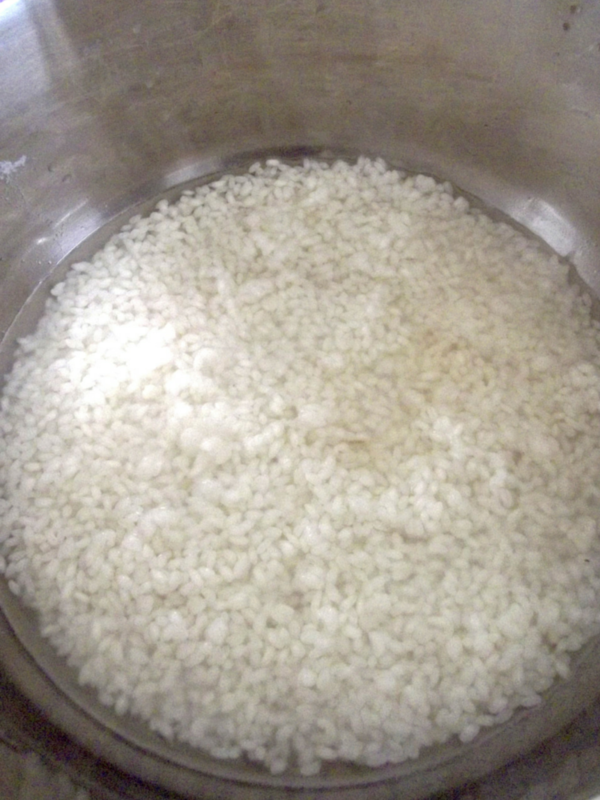 Parboil rice in a boiling water, wash and cook with salt until tender. 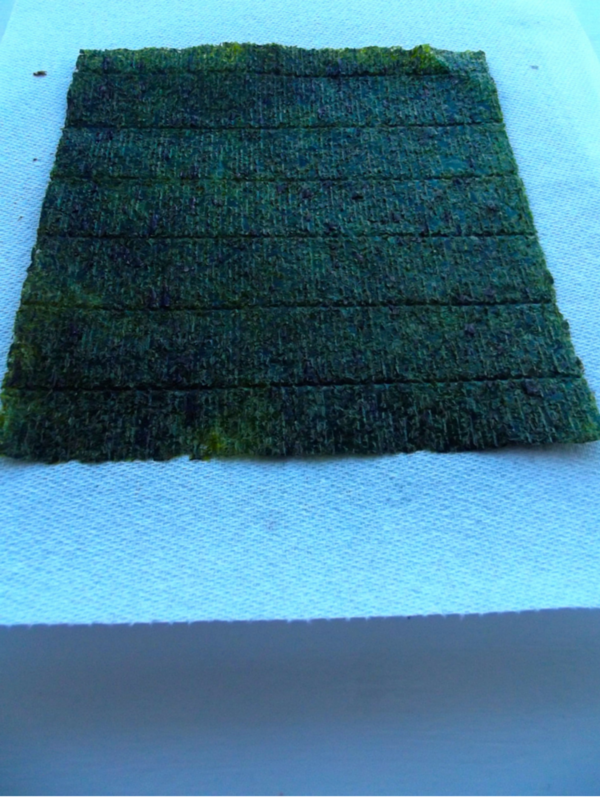 Place one sheet of nori on a rolling mat. Wash hands and then spread a thin layer of rice on the sheet of the seaweed. Press rice into a thin layer and arrange cucumber, bell peppers, carrot and salmon in a line down the centre of the rice. Roll it forward to ensure there a complete roll is made. Repeat the same process with the remaining ingredients and serve.